Hibs boss Terry Butcher knows what it takes to beat Celtic at Parkhead, having done so last season with Inverness, and has a game plan in mind for Saturday. Celtic had been in top form, scoring 12 without reply against Hearts and Motherwell away from home, although the champions were brought back down to earth in the Nou Camp on Wednesday night, a result the Butcher believes is irrelevant to the forthcoming fixture. We will play a certain way, we have a game plan which has been expressed to the players and they are happy with it. We will certainly be hard to beat and hard to get through. But we have players who want to attack and want to score. We have players who haven’t scored so far this season and want to score. If we can get good crosses into the box as we have been doing and have a belief then we have a good chance of scoring. 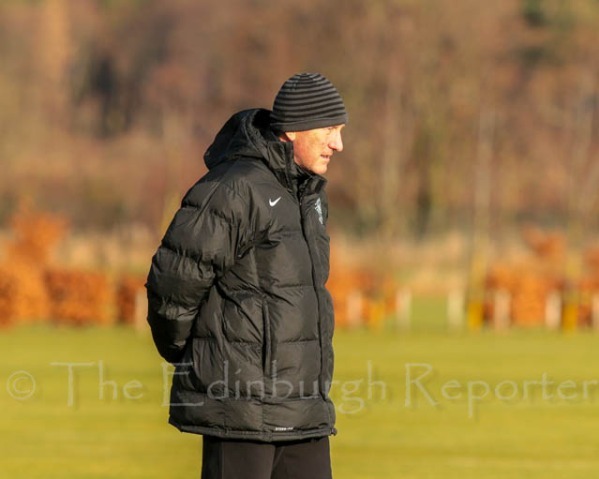 “When we beat them [with Inverness] we didn’t park the bus or play defensively. We passed the ball well and the longer it went without Celtic scoring just added to our own belief we could do something. We played well that day. Given their domestic dominance, observers would be forgiven for thinking that Celtic’s humiliation in Barcelona was an indictment on the standard of Scottish football, but the Hibs manager who has played at the highest level disagrees. He continued: “I am really annoyed when people say that’s a damning verdict on Scottish football. I think that is totally wrong. Scottish football is a unique place, a unique environment we work in. And what Celtic do in Europe is the icing on the cake for our league. Our league is very competitive, you ask the players who are in it, you ask the people who take part in it. It’s a great place to work and a great place to enjoy football. “Celtic have been marvellous in Europe for the Scottish game. They had to get through three qualifying rounds to get to the group stages. The group they were in was very competitive with three other previous winners , so, with the squad of players he had this year compared to last, it was always going to be a difficult challenge. It’s disappointing but any team can lose like that to Barcelona, they are just an incredible machine. “Even with so many players out Barcelona are still well capable of punishing any team in Europe by that amount. It was a one-off performance. If there had to be a resolution hanging on the result from Celtic’s point of view it might have been totally different, but they were out of Europe anyway, and Barcelona needed a point which was probably the worst thing from Celtic’s point of view. Had they not it might have been different. He may change it around but there’s a load of things he can do. I don’t think midweek will have a bearing on the game.